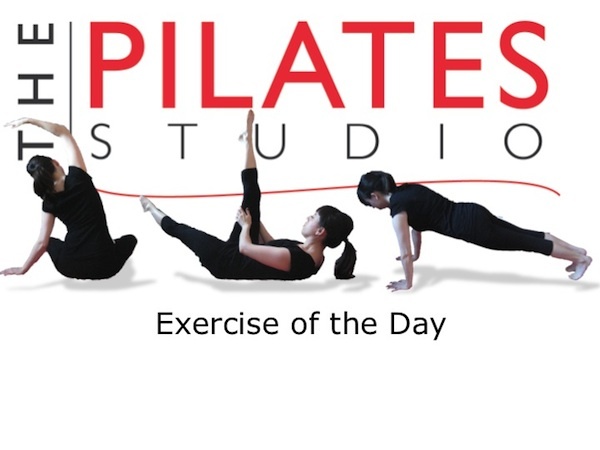 This exercise adds resistance to a full range of motion in the shoulder socket. To do this exercise you will need a mat and a small weight (1-3lbs). Start by lying on your side with your knees bent. Hold a small weight in your top hand and reach that hand and arm toward the ceiling. Begin making small circles with the arm, and then gradually allow the range of motion to increase. After reaching the full range of motion notice which direction you are moving and then reverse directions. In this exercise you want to find your pain free range of motion. If perchance there is any pinching in the shoulder decrease the range of motion. 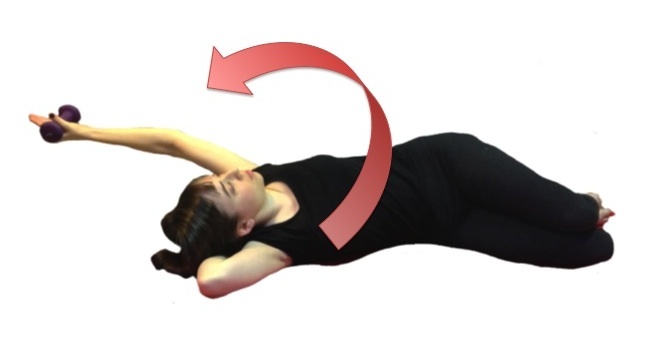 Remember that the collarbone and the shoulder blade are part of this motion too! They work together to keep the shoulder safe.